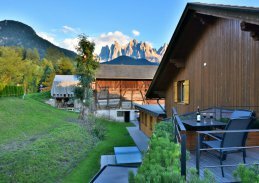 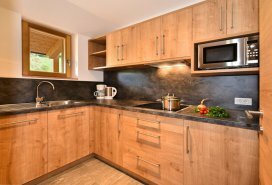 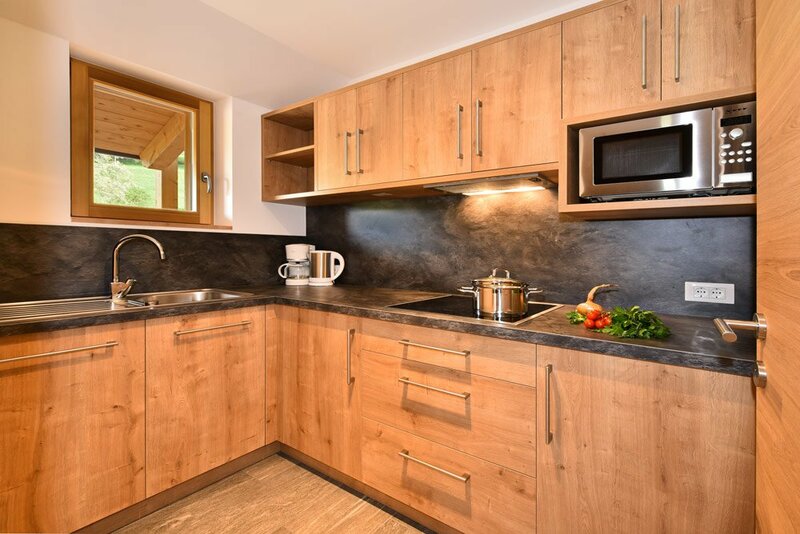 If you are looking for a vacation home in Funes, at the farm Proihof you will find a variety of choices. 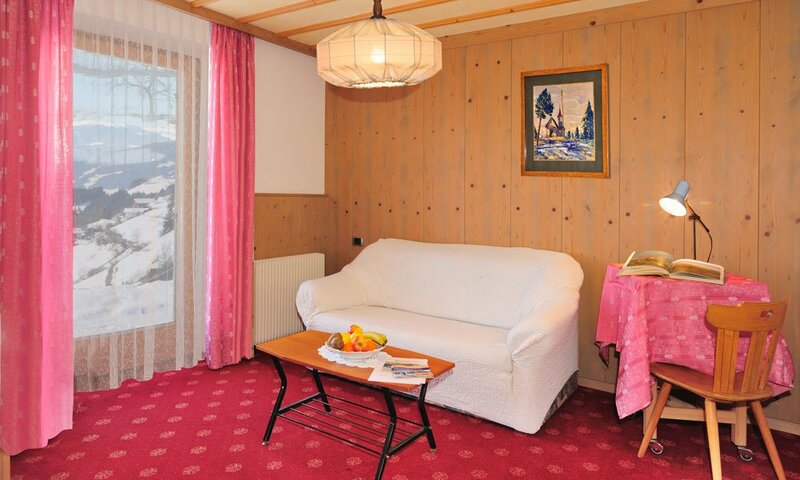 Our holiday apartments offer comfortable furnishings and space for up to six persons. 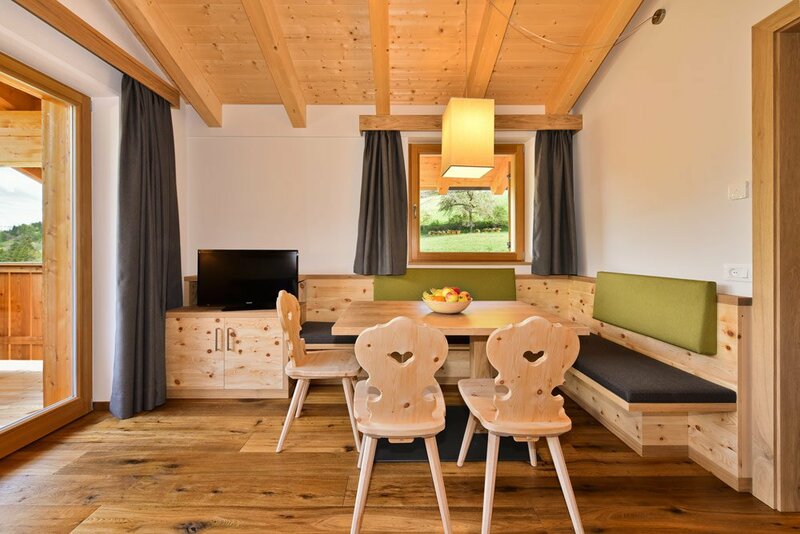 Therefore, small groups as well as families with children are welcome at the farm Proihof. 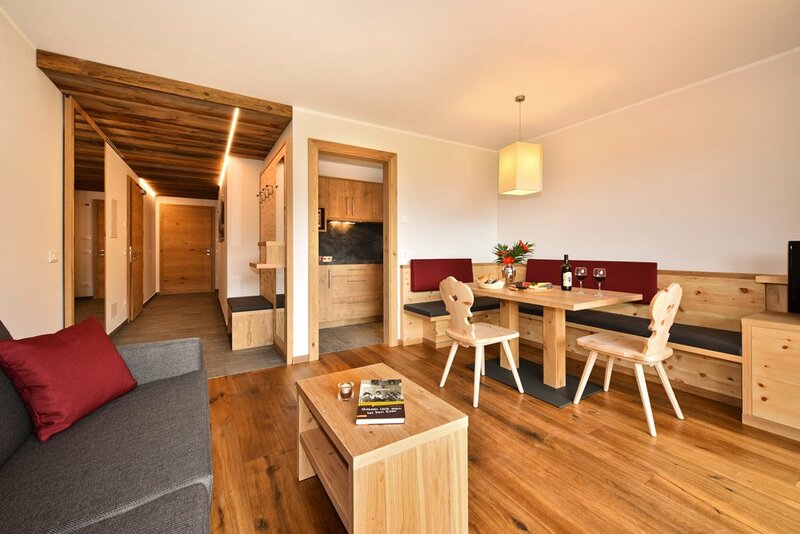 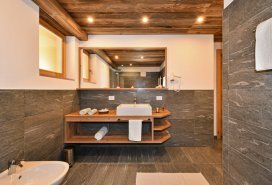 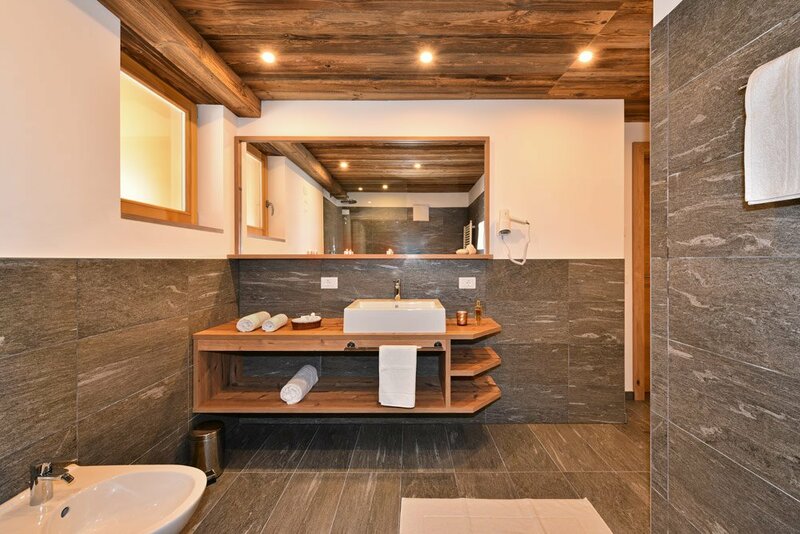 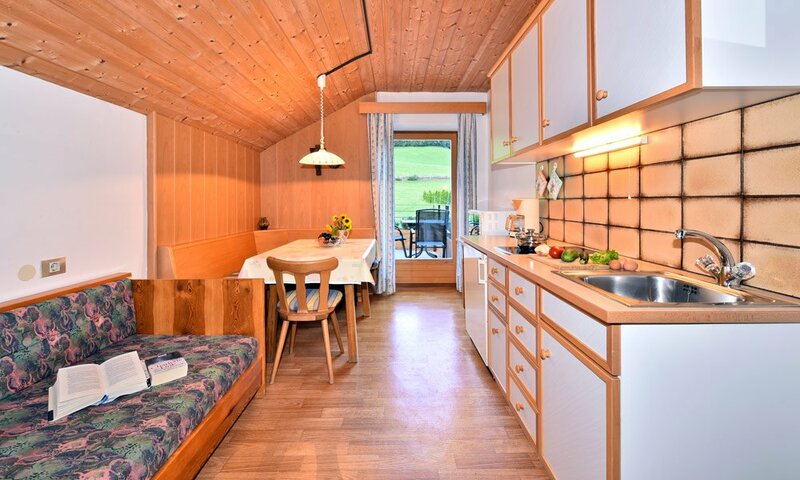 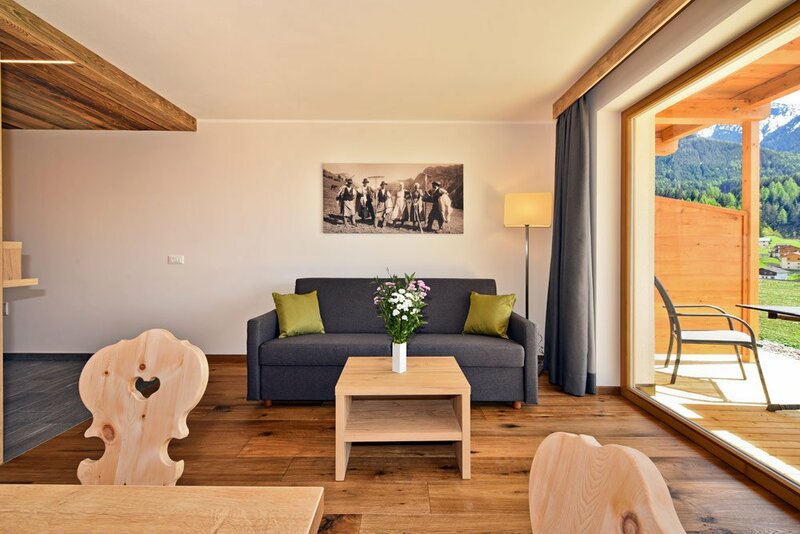 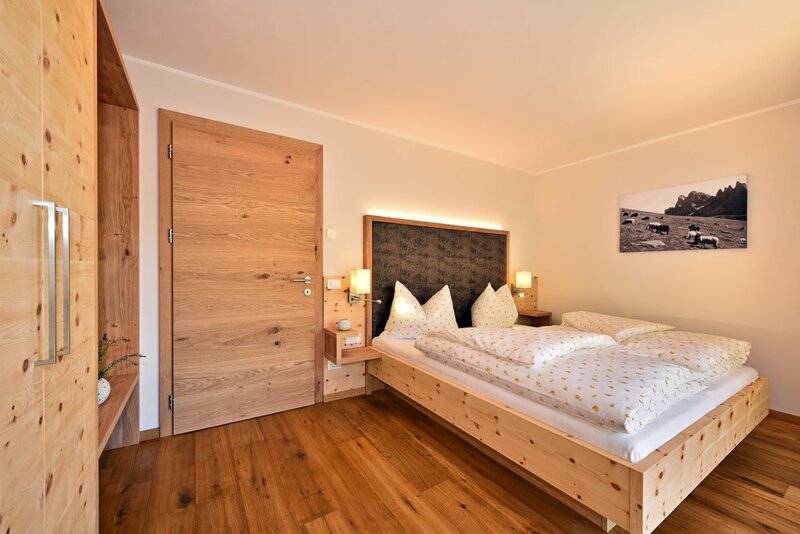 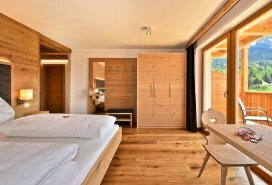 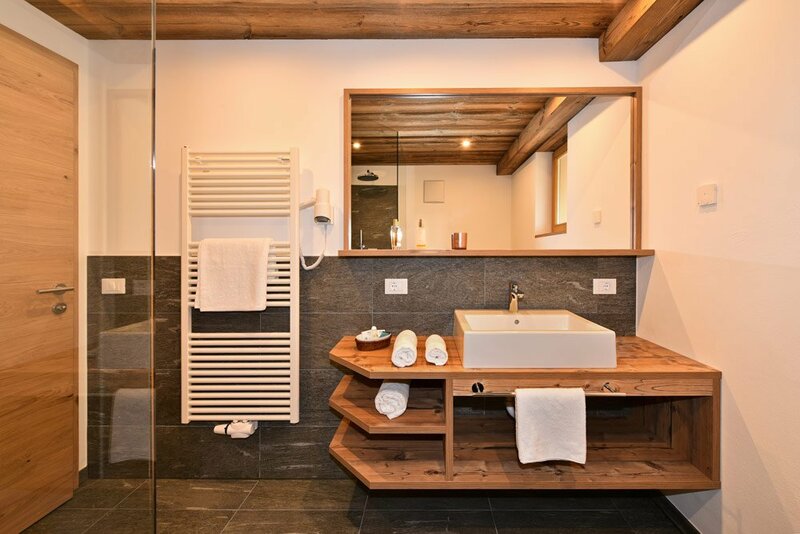 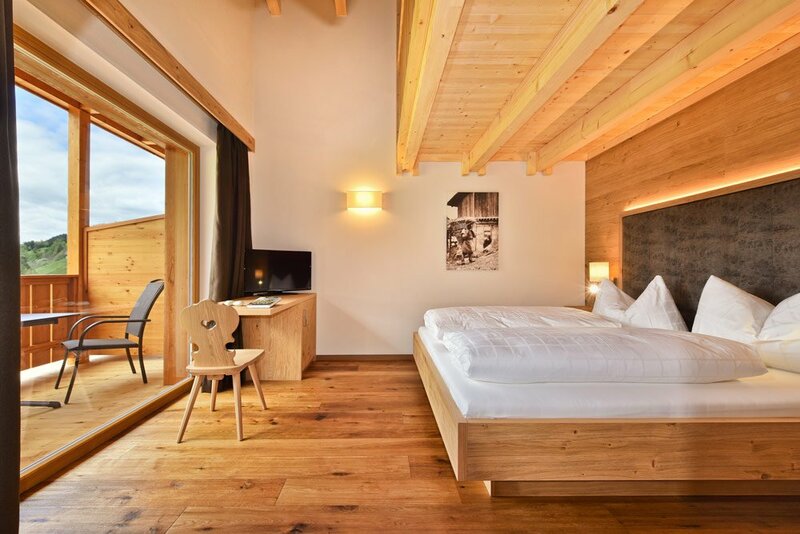 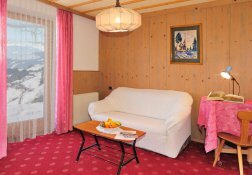 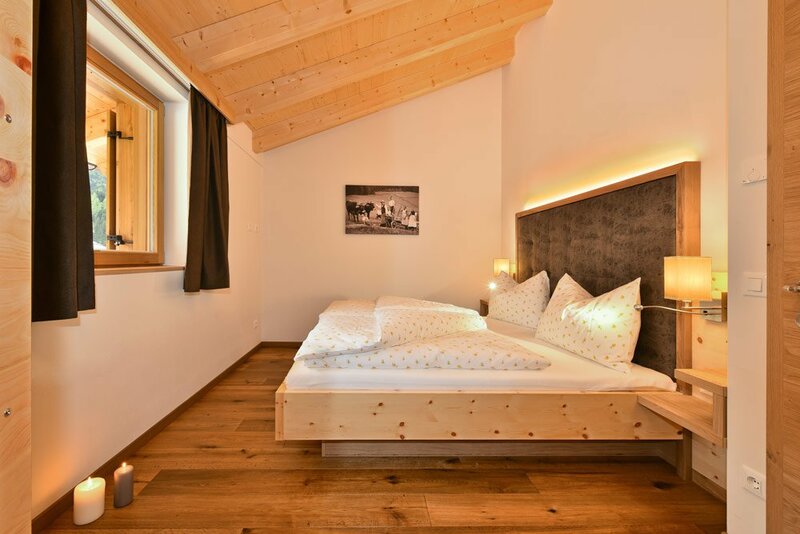 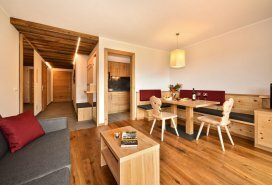 Typical materials of the alpine living tradition, as well as furniture made up with local wooden types and vhigh-quality wooden floors give a particularly cosy charm to this apartment. 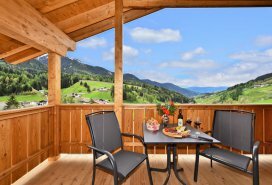 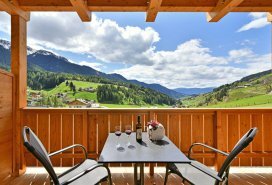 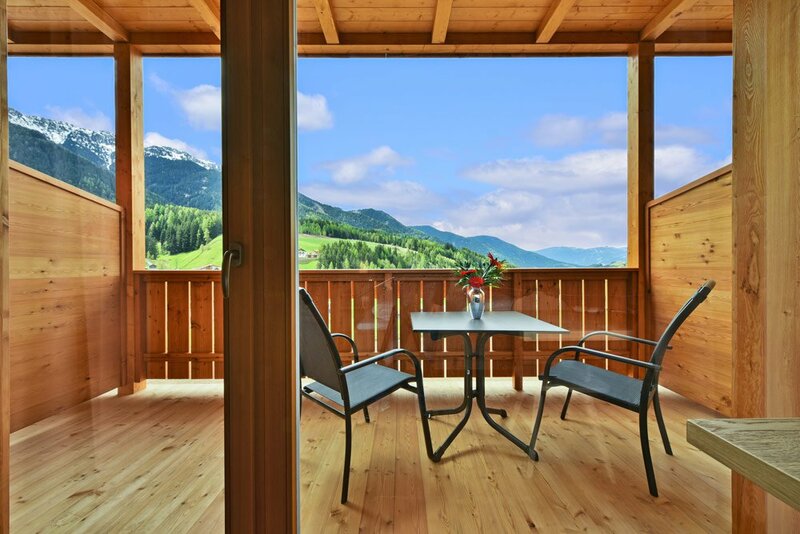 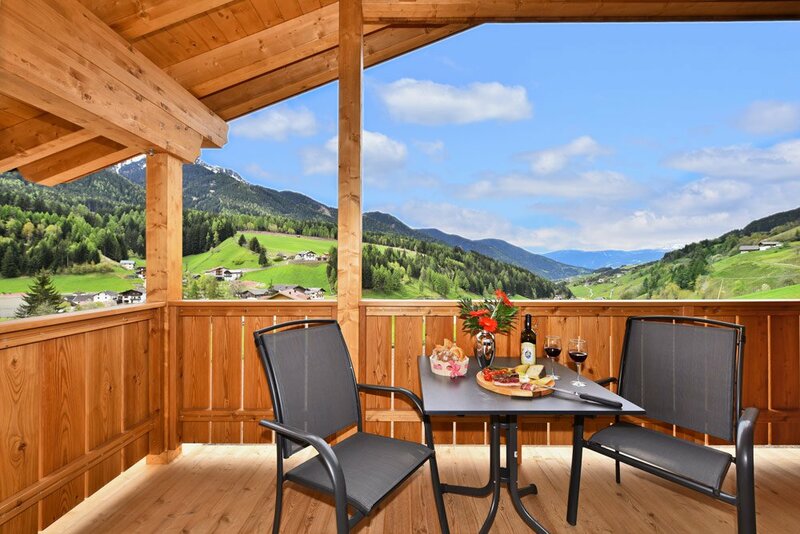 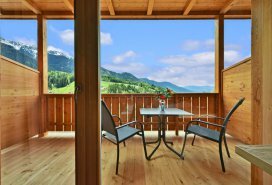 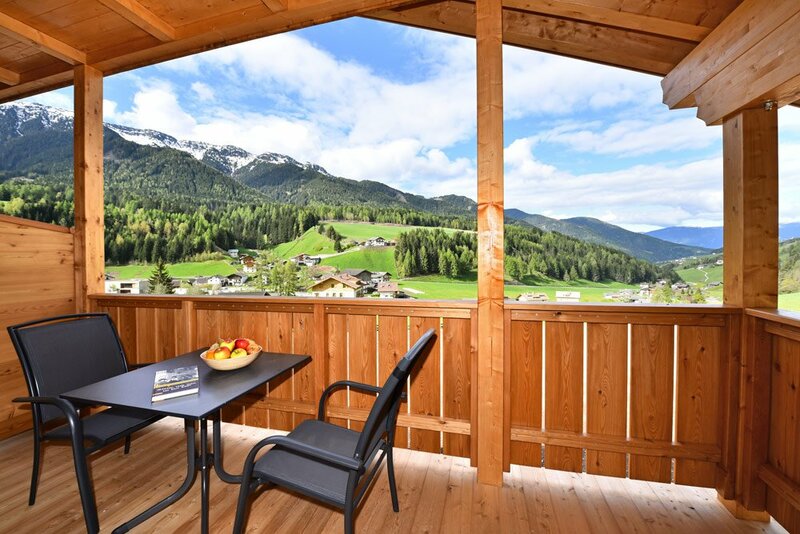 The balcony offers a wonderful panoramic view over the mountains and the nature surrounding the Proihof farm. 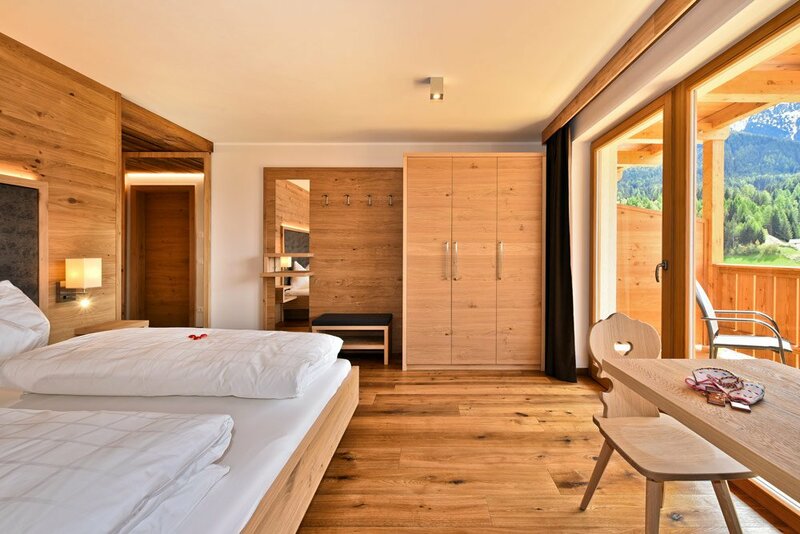 A separated bedroom grants the desired quietness and privacy. 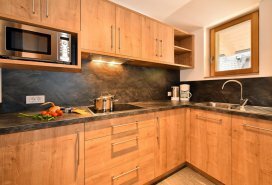 The equipment of the holiday apartment includes a fully equipped and separated kitchen, a large dining area, a comfortable couch, study desk, safe, a 32-inch TV and WIFI. 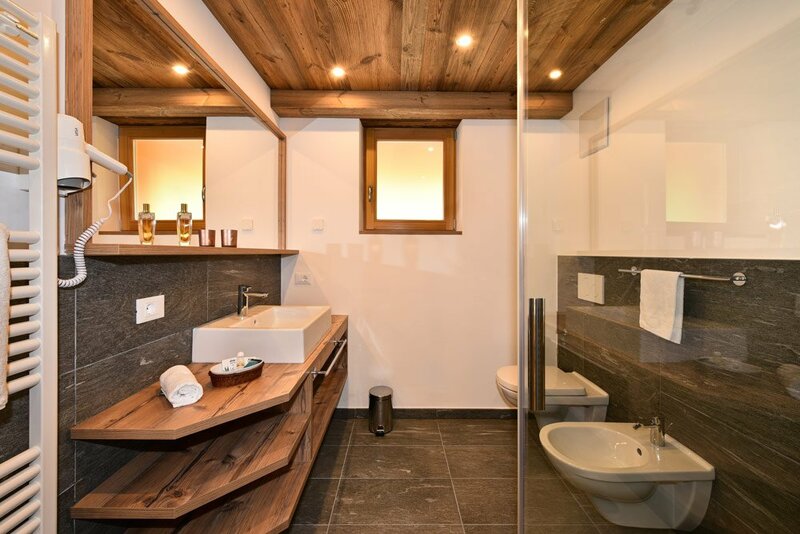 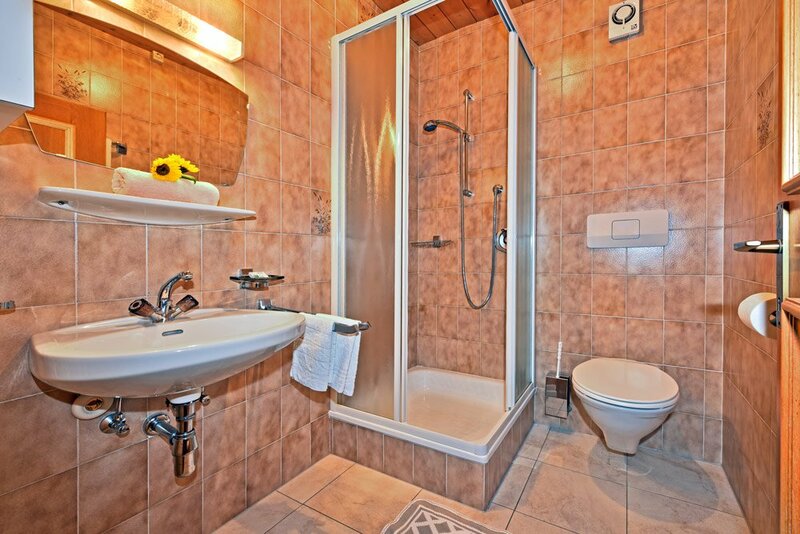 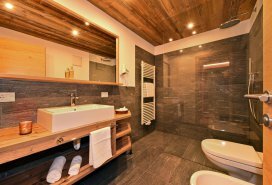 Bathrooms offer a large shower, WC/bidet, hair dryer and a bath cabinet with many storage units. This apartment can comfortably host up to 4 guests. 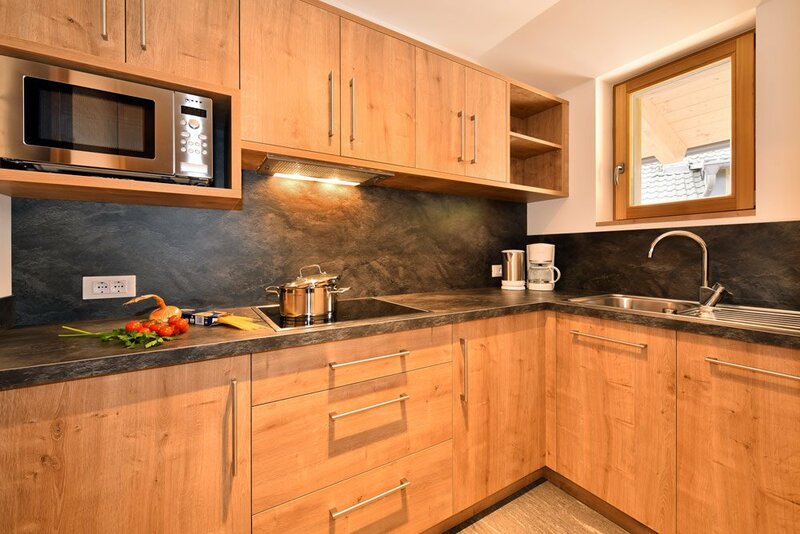 This newly built apartament impresses through its wonderful position towards the South. 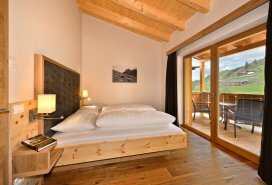 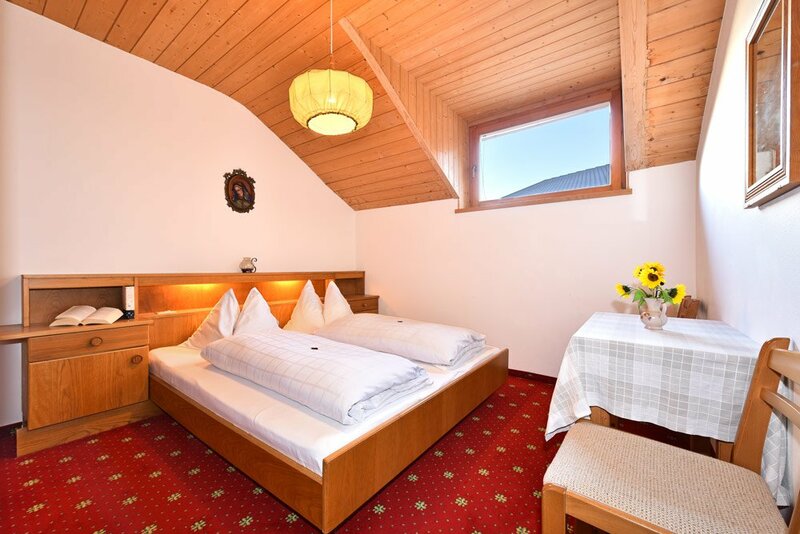 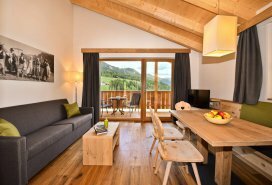 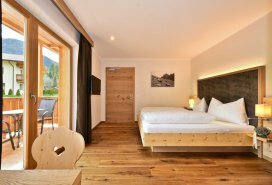 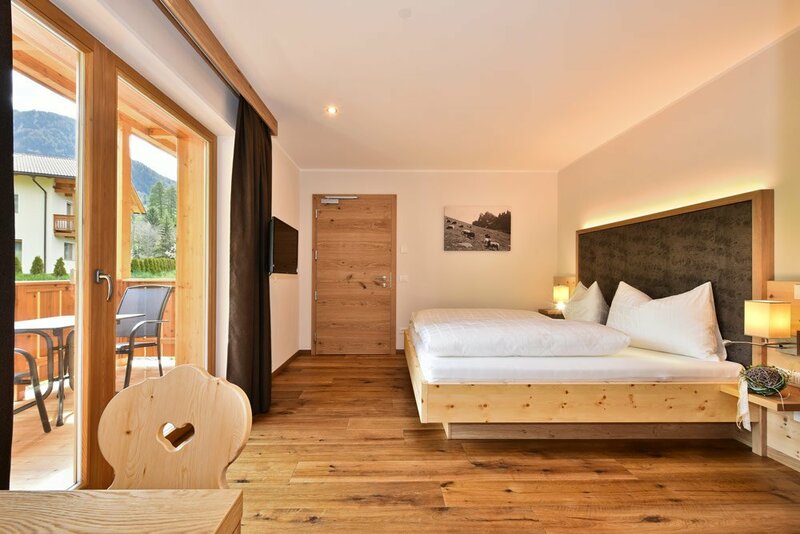 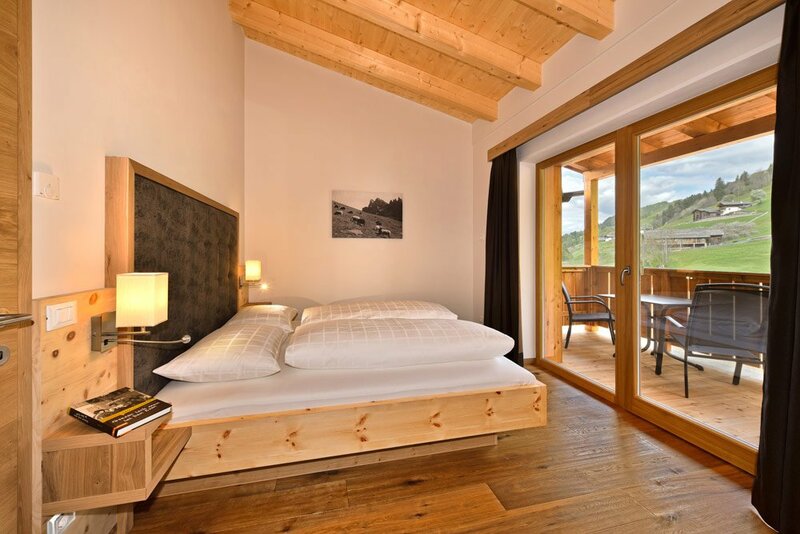 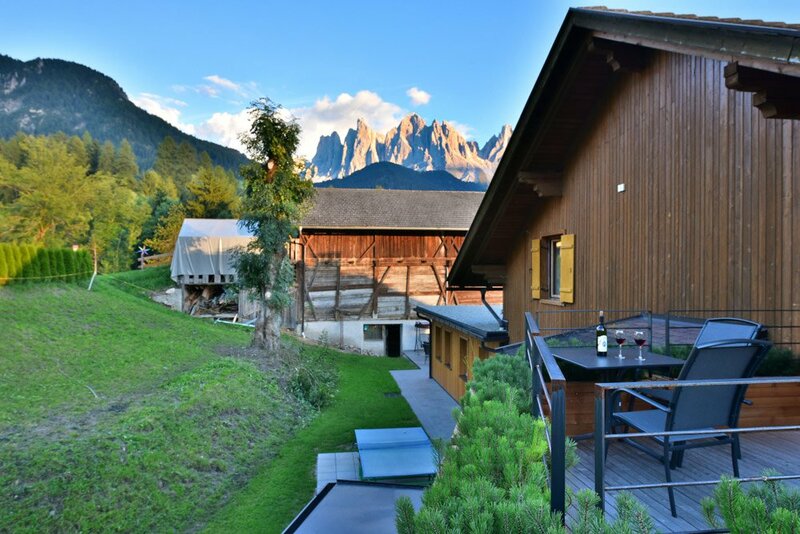 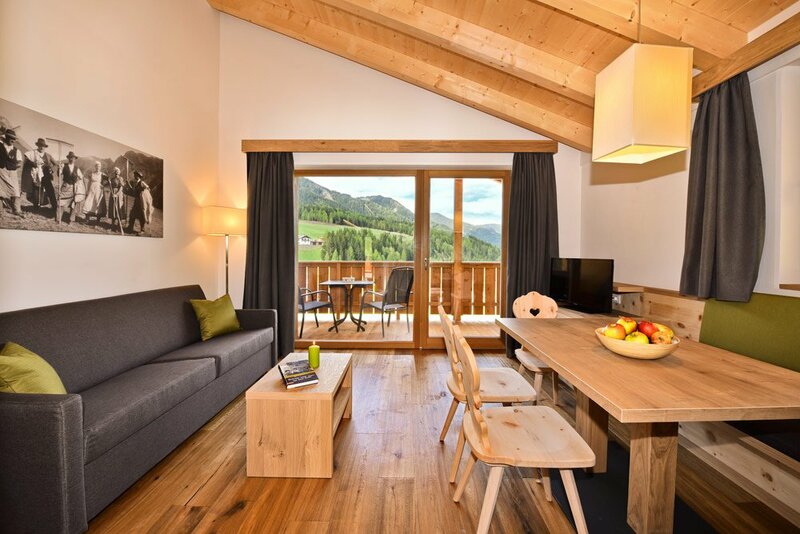 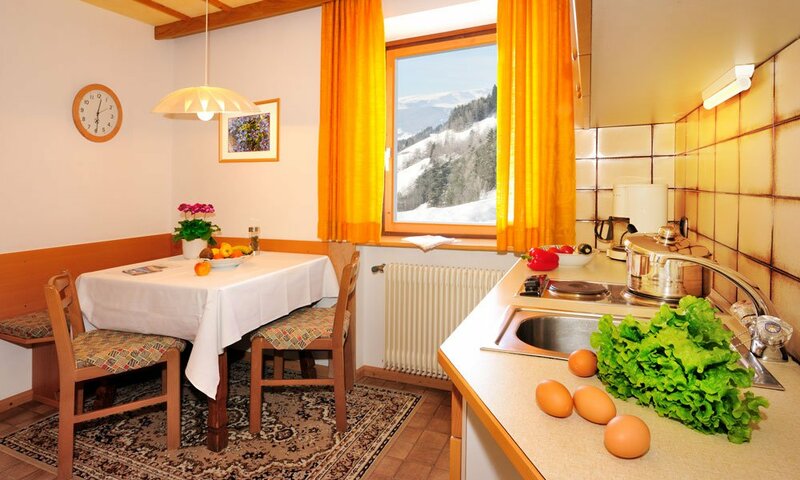 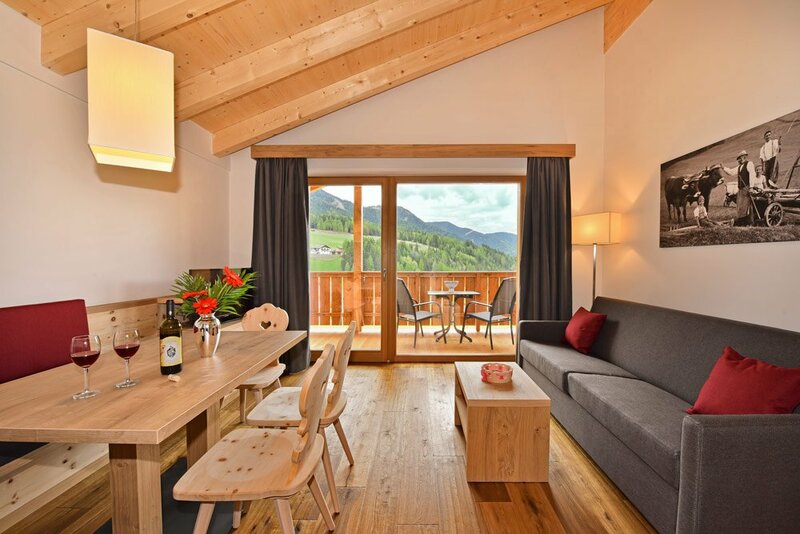 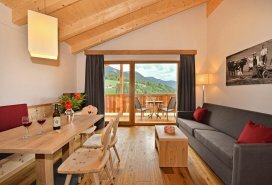 From the three balconies of this accommodation you can enjoy an amazing alpine panoramic view around the Proihof farm. 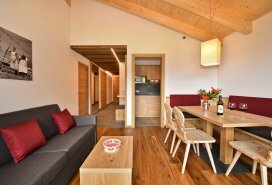 Furniture made with local wooden types and solid wooden floors give an alpine charm and a cosy atmosphere to this apartment. 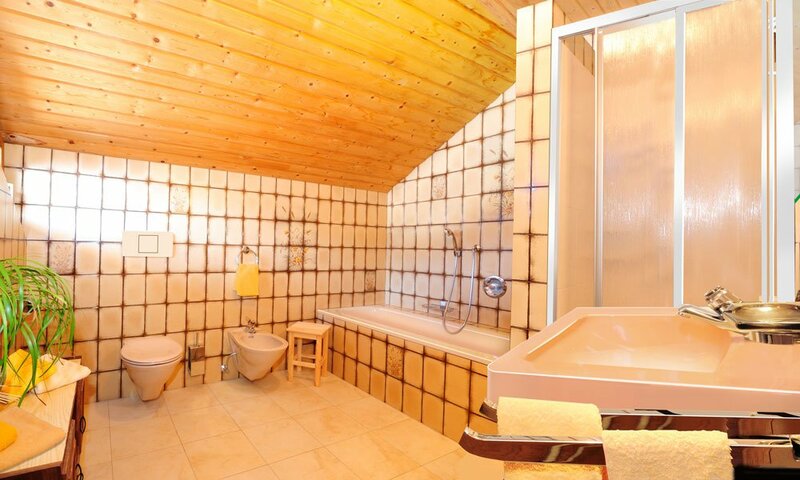 Two double rooms and two bathrooms grant the requested privacy in this apartment. 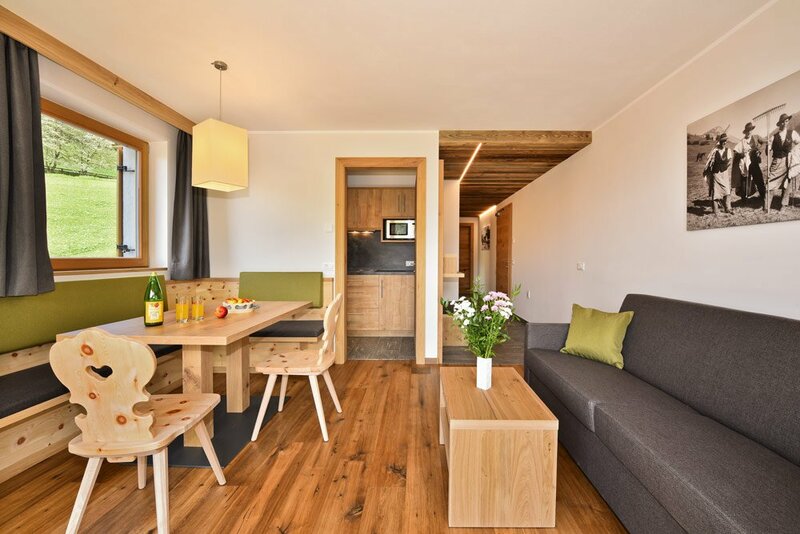 The beautiful living area with couch and dining table, as well as the fully equipped kitchen offer you all the comforts that you wish to have on holiday. 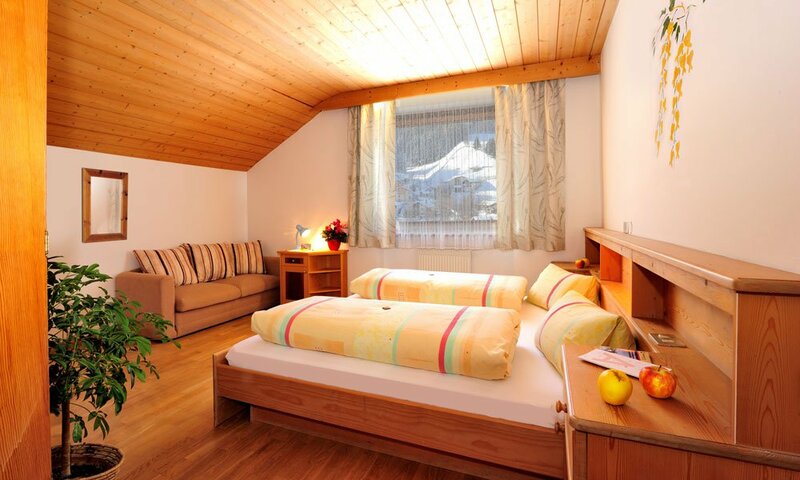 The equipment of the Proihof apartment includes a large couch, two 32-inch TVs, safe and WIFI. 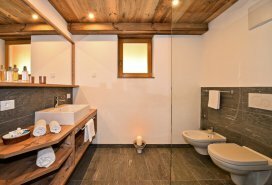 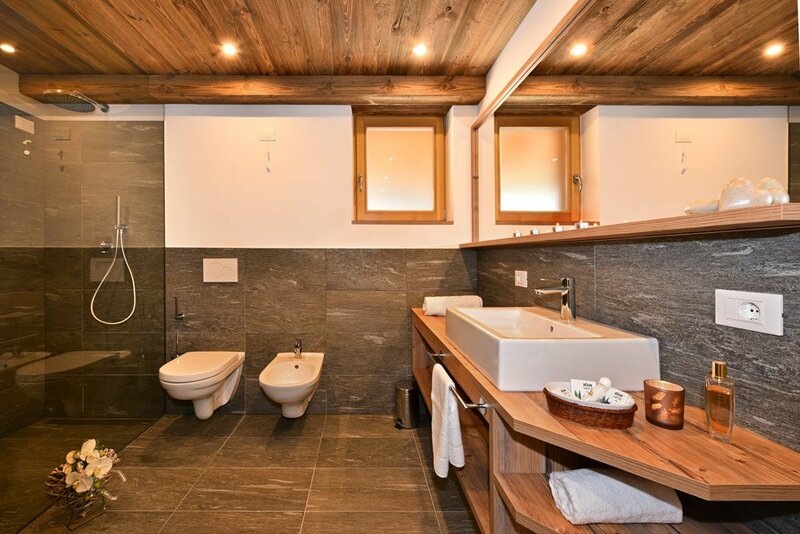 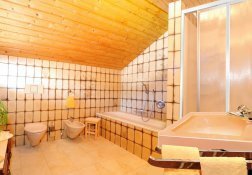 Bathrooms have got a shower, WC/bidet, hair dryer and bath cabinet with many storage units. 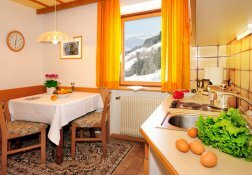 This apartment can excellently host up to 6 guests.